December is almost upon us and although the white stuff is now piling up outside there is also a buzz of sustainable activities and events in and around the Ottawa area. This month SMARTNet Alliance attended events supporting the Global Entrepreneurship Week (#GEWOttawa) across the Ottawa region. Last Wednesday we were present for the Pitch It event at Algonquin’s new DARE Centre of Innovation. Here, six start up businesses pitched their ideas in front of a panel of experts from Invest Ottawa and Ottawa's Impact Hub. 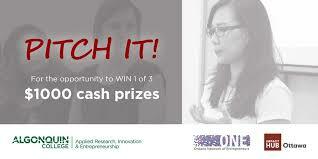 In the end three lucky startups were funded one thousand dollars each to help the growth of their business. 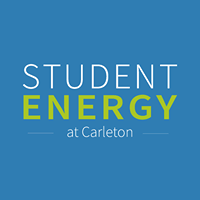 Next up, we attended Student Energy Carleton’s event at Ottawa’s Impact Hub which brought together stakeholders and interested parties to discuss the SDG 7 Initiative, which aims to provide universal access to affordable, reliable and modern energy services by 2030. A panel discussion was held which delved deeper into the issues of sustainability and the path forward for concerned citizens. Aaron Thornell, Communications manager for the Ottawa Renewable Energy Co-op, was a panel member along with Matthew Britt, the CEO of SWITCH Energy and Jenn Schurer, co-lead of Ottawa's WiRE (Women in Renewable Energy) chapter. A lively night of discussion ensued with lots of inspiration for forward progress. 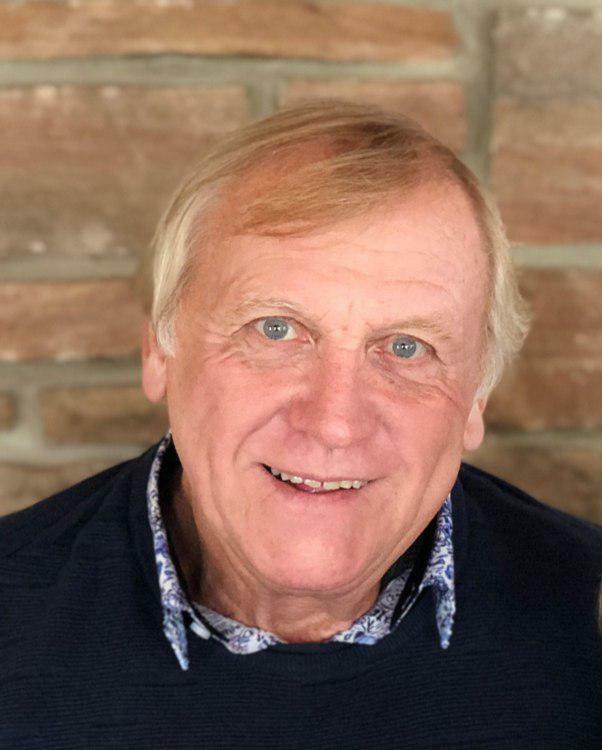 Joe Mulhall brings to this role over 45 years of experience in the energy sector beginning with the completion of an apprenticeship program in the trade of Electrician. For Joe, lifelong learning and applied knowledge go hand and hand. After receiving an Honours Degree in Labour Studies Joe went on to build the Canadian Union of Skilled Workers where he served as President for almost 20 years. Joe has also held the role of Trustee and Administrator of Union Trusts Funds, served on Boards and Advisory committees at the College and University level and served a term as Chair of the Board at the Ontario Sustainable Energy Association. Joe has been a part of building the vision of SMARTNet Alliance from the very beginning. The concept of assisting sustainable energy entrepreneurs through providing direction and the creation of the Entrepreneurs’ Club to working with members of local Ontario communities, as well as CUSW, as while as working in various sustainable capacities, including Project Management and Construction, Installation and Community Power projects. Joe is passionate about building a model for a better future and looks forward to helping grow SMARTNet Alliance in Ottawa and beyond. Raymonde Lemire is a seasoned entrepreneur and business services professional. With over 30 years of experience working in the corporate sector and running her own business she is well positioned to understand the needs of both employers and entrepreneurs. 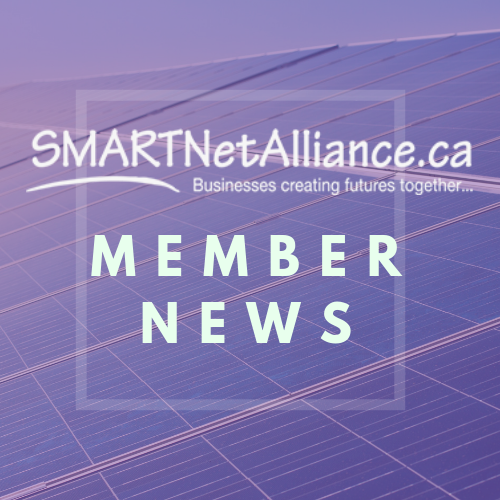 She has been with SMARTNet Alliance for the past 5 years and has been successful in growing the sustainability community in the Ottawa Region. Closest to Raymonde's heart is her work in nurturing the SMARTNet Alliance Members as they navigate their way through the ever changing and exciting sustainable economy. Nick is an experienced and passionate changemaker who has been working for the past several years with nonprofit and community-based organizations to help them deliver dynamic events and campaigns around the country. His passion for renewable energy and all things green comes from a deeply rooted love of nature and the environment gained at youth. Most recently, Nick has been the Program Director for Green Energy Doors Open, one of the country’s largest renewable energy public literacy campaigns. He was instrumental in coordinating with local hosts to ensure a smooth delivery of the program. Nick is excited about the future of sustainable energy and a decentralized energy system. 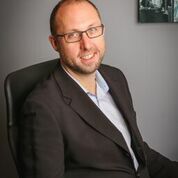 He looks forward to diving head first into many of Ottawa’s Sustainable initiatives and is excited to help build the SMARTNet Alliance into a thriving ecosystem of actively engaged members helping to advance Canada's sustainable economy. 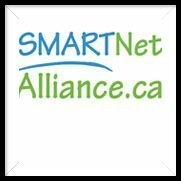 Read the full bios of the SMARTNet Alliance team here. CaGBC’s Zero Carbon Building Standard is Canada’s first green building program to make carbon emissions the key indicator for building performance. With this new Standard, Canada joins an elite group of countries, including Australia, France, Switzerland, UK and US who are showing leadership in carbon reduction. Join us to discuss the next evolution of green buildings. Buildings are a significant cause of GHG emissions. With approximately half a million commercial and institutional buildings in Canada alone, there is a huge opportunity for those working in the buildings industry to have a positive impact on environmental sustainability. We invite you to join us on Oct 12 for an interactive discussion about low carbon buildings: what they look like and how we get there. The Cass Community Social Services in Detroit is building tiny homes to help the low-income population in Detroit. This is an innovative way to help fight poverty and provide affordable housing to those that need it. We are a local community who likes to talk green. That could be green energy, wind, solar, sustainable cities and so much more! Watch this video to find out what is Green Drinks and then join us at one of these events. Ottawa, every 2nd Thursday of the month at the Fox Feather. Durham Region, every 3rd Tuesday of the month at Pringle's Restaurant. Check out other Green Drinks events across Canada. Vermicomposting: what is it and how to do it! It's a show and tell! Darcy will bring samples and explain how he does vermicomposting. Click here to read his blog on his first experience with vermicomposting. Click here to join the Ottawa Renewable-Green Energy Meetup Group and view our upcoming speakers. The Ontario Sustainable Energy Association (OSEA) is currently looking to fill a three month contract position for a Program Coordinator, Green Energy Doors Open with the possibility of extension. OSEA is a respected advocate, facilitator and business catalyst bringing the public, commercial and community sustainable energy sector and their supporters together to address emerging trends and the development of healthy, prosperous and ecologically sustainable communities across Ontario. Green Energy Doors Open (GEDO) is an energy literacy com munications campaign and annual showcase of individual, community, and commercial sustainable energy projects. It is organized and spearheaded by OSEA. The GEDO annual showcase weekend celebrates sustainable energy projects and success stories in provinces across Canada. The 2017 GEDO showcase will take place September 22, 23, 24 with events in British Columbia, Alberta and Ontario. The GEDO showcase will be taking place September 29- October 1st in the Ottawa Region. Two-thirds of Canada’s electricity supply now comes from renewable sources such as hydro and wind power, the National Energy Board said in a report released Tuesday. Renewable energy production jumped 17 per cent between 2005 and 2015. The portion of all electricity in Canada generated by renewables is now 66 per cent, up from 60 per cent a decade earlier. How to Get your Cell Phone Off the Grid! Have you heard about the Solar Cell Phone Challenge initiated by Darcy Whyte, inventorArtist? It was launched at Green Drinks Ottawa in January 2017. The challenge: Power your cell phone with nothing but solar power! (i.e. get it off the grid!). I personally love this challenge. It is a GREAT way to learn about solar/storage, how it may affect your habits, and what to expect when going off the grid, all for less than a $100 investment (much cheaper than spending $30,000 for panels on your roof if you ask me). having to plug it (or my external batteries) into the grid ONCE. It was actually much easier than I thought it would be. It just took a little bit of research and about a week of trial and error (I DID have to plug into the grid once during my first week due to not understanding how to manage my batteries, but haven’t since). This article is meant to save you some of the headaches I had to go through and teach you how you can get YOUR cell phone off the grid and do it SUCCESSFULLY! When I started the challenge, it was January in Ottawa. The first 10 days were completely overcast with snowstorms. It was rough! So I wanted to make sure that I would SUCCEED. To do that I bought two 16 W portable solar panels and two 15600 mAh portable batteries on Amazon. The cost for all four was ~$150 (CAD), but I would say I went a little overkill and YOU could do it with one panel and two external batteries (total ~$100 CAD) without having to change your habits significantly. If you wanted to go DIE HARD you COULD do it with one panel and one external battery. I would also research other options. This is what was available at the time, but there are always new and better products coming out on the market and if you CAN get a larger panel (18-20W) and/or a larger battery I would recommend it. One mistake I made when I first got the external batteries was that I started using them right AWAY. This is a NO-NO (and why I had to plug them into the grid in my first week to reset the level reader). Read the instructions CAREFULLY, but what I was SUPPOSED to do, was put them on to charge (you can cheat a little and use the grid for your first top up). If you don’t fully charge them the first time it will affect the level reader memory and tell you it's fully charged when it isn’t. So READ THE INSTRUCTIONS and charge them fully to start. Once your external batteries are charged fully you can install the panels. I hung my panels up in a southward* facing window vertically as shown in the photo below. That’s all you really need to do, just make sure that the window gets the most sun and try to hang them as close to the window as you can, this will ensure that you get as much sunlight as possible. The tops of my windows were shady pretty well the entire day because of the roof overhang so I hung them closer to the bottom. Another tip is to try and hang them horizontally (see the other example below). It’s a little trickier but it works. All in all, set it up so that it gets AS MUCH SUNLIGHT AS POSSIBLE. SIMPLE! *Note: if you don’t have a southward facing window your next best option is west followed by east and north as an absolute last resort. That was the easy part. Now for the MOST CRITICAL aspect. BATTERY MANAGEMENT. This is where the knowledge bombs are going to get dropped. It is EXTREMELY IMPORTANT that you know what kind of batteries your battery pack and cell phone have because this will affect the recommended Depth of Discharge (DoD) and the number of Cycles. NiCad batteries last longest if you cycle them through a 100%DoD. Lead acid and Li-ion batteries, however, prefer a 60% DoD (i.e. only let them get to 40% capacity) and a recharge capacity of 80%. For those who want the details, you can find them here, but to make it short and sweet, the best DoD/cycle ratio, and thus battery lifetime, occurs when you cycle between 40% and 80% capacity for Li-ion. You WILL want to recharge to 100% every few weeks. To play it safe you can just always charge up to 100% if you want. The real point is, don’t let your batteries (cell phone or battery pack) get below 40% without recharging them if you can avoid it. This is really quite easy if you keep your battery pack on you during the day. In short, you want to always be “topping up your batteries” whenever you can. This is where most people have issues. Because of our old NiCad laptop days, we were trained to let our laptop FULLY DISCHARGE before recharging it because it would reduce its MEMORY. This is not the case ANYMORE. Li-ion batteries are different. They actually prefer being topped up and DON’T have CHEMICAL MEMORY. Also, you can leave them PLUGGED IN ALL THE TIME and it will not AFFECT the battery life. The one habit that will have to change is not to let your cell phone die anymore. Instead, run it down to 40% and top it up. So how does this translate into your day to day? First things first, if your cell phone doesn’t display the charge % in the top, go into your settings and turn that feature on. Knowledge is power, and you ALWAYS want to know what level your cell phone battery is at. If you can make it through the day without going below 40% on your cell phone, perfect! Leave your external battery pack at home plugged into your solar panels and then charge up your cell phone at night. If not, you will need two battery packs, one that is on the solar panels charging/topping up (not allowing IT to go below 40% if possible), and the other one with you during the day so you can top up your phone while out and about. If your phone is a BATTERY HOG, evaluate your usage, you may be able to extend battery life for the day by simply reducing the brightness of your screen, turning off data when you’re not using it, or even just using “power saver” mode on your phone’s settings. If you don’t want to change your habits AT ALL, go buy an extra panel and battery pack. But it’s cheaper to make these small changes - REDUCE, REUSE then RECYCLE. For those who use their cell phone for an alarm clock and don’t turn it off at night, my phone has “EXTREME POWER SAVER MODE”, yours probably does too. USE IT, it's awesome, it allows you to receive phone calls, text messages, e-mails, and yes, your alarm will stay on and it won’t use anything more than about 3% of your battery capacity over the entire night! For those who don’t need their cell phone when they sleep, you can simply turn it off (I don’t have to do this). If you really want to get energy conscious and try to get off grid for as little as possible, you can use EXTREME POWER SAVER MODE during the day, the only thing that you won’t receive are Facebook and Twitter updates, so if you’re addicted to social media you can turn off extreme power saver mode a couple of times a day and get all your notifications at once. If you find that you get 10 or 15 days in a row overcast things might get a little tough. Don’t sweat it, though, even on overcast days your solar panels WILL PRODUCE power, just not enough to top your batteries up as quickly. If you ever get yourself into this kind of a jam, this is where you can use your 40% reserve (assuming that you kept your battery pack above 40% as previously mentioned). Only run your cell phone below 40% when you ABSOLUTELY HAVE NO OTHER OPTION. You want to keep that 40% reserve on your cell phone for when you get lost in the desert or something. If the overcast is SUPER BAD EVERY DAY (highly unlikely) and you just can’t top up your battery packs at all, then I would resort to EXTREME POWER SAVER MODE during the day and turn it off at night. Running your cell phone from 100% on EXTREME POWER SAVER mode will take 10 days in itself. You may have to do this MAYBE ONCE in a year. If you really can’t manage, there’s always the grid, but TRY to use it as an ABSOLUTE LAST RESORT. If you HAVE to use it, don’t worry, you’ve still cut your grid dependence by 99% so good on ya! Learn what you did wrong, and figure out how you can avoid it in the future. NOBODY’S PERFECT. Well that’s it! Good luck to you all! And most importantly HAVE FUN! This is a really hands-on way to learn about solar and prepare yourself for the future ahead!